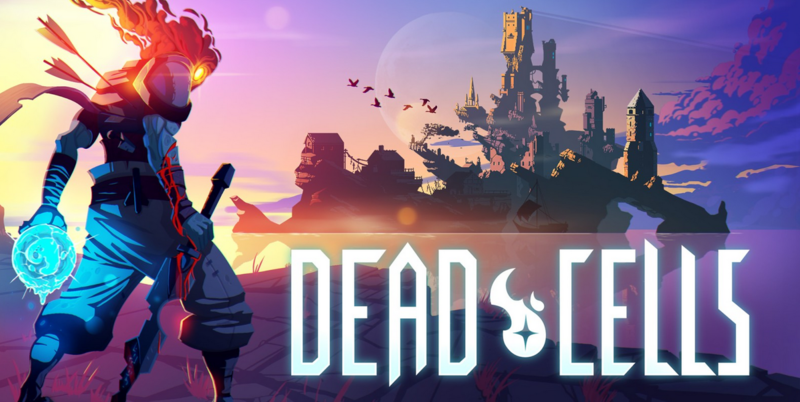 Dead Cells has been out for a while now, but with it winning Best Indie Game at the 2018 Golden Joystick Awards, and given that its physical release was aided by Manchester based developers Merge Games, The Mancunion takes a retrospective look at the increasingly popular title, which also hit the headlines for being the subject of a now infamous plagiarised review by Filip Miucin, formerly of IGN. And Dead Cells did not let us down. The story is very minimalistic, primarily about the player character seeking to escape a prison island, but short sections of lore are drip-fed to the player throughout. It isn’t the most exciting story, and certainly doesn’t match the level of discreet lore delivered in the Dark Souls franchise, but it’s enjoyable enough and adds some context to the world. The real highlight of Dead Cells is the electric gameplay and its intricacies. The combat is fast-paced, and every attack feels solid, particularly with the slower, heavier hitting weapons. As some kind of ninja, your character is quick on his feet and entire sequences of enemies can be avoided if you wish, though the combat is so fun I tried to get into as many fights as I could. The controls are smooth and responsive on both controller and keyboard, allowing for real precision in ducking and dodging in combat as well as performing acrobatics across the many stages. Perhaps the best aspect of Dead Cells is the variety of weapons, accessories and gadgets. There are all kinds of weapons ranging from (dual) daggers, spears, whips, many kinds of swords, war hammers and even spiked boots, as well as ranged weapons such as bows. They each have different move sets, fighting styles and special abilities, and these abilities are part of what makes this rogue-like adventure so addictive. Similarly, there are a large range of gadgets, traps, amulets and powers you can acquire. While you can buy certain gear to make them more common in the world, you usually obtain weapons from random locations in the world, and each time they have different abilities. For instance, in the first level you could find some dual daggers that deal massive critical hits if you get backstabs, but next time round it could be a claymore that causes health regen when you kill enemies. It keeps the game feeling fresh and new on every attempt, and no two runs are the same. This can result in some incredibly powerful combos. My most powerful resulted from finding dual daggers that dealt 500% damage if I was invisible; a potent tool if combined with an amulet granting me temporary invisibility. My use of the word ‘attempt’ leads me onto a major feature of Dead Cells. Every time you die, whether you’re 5 minutes or 2 hours into the game, you start over. From the beginning. This has led to countless Dark Souls­ comparisons, except it’s even more devastating when you die… At least Dark Souls has checkpoints. This sounds tough, and it is, but the persistent levelling system helps to offset this. As you play, you accumulate ‘cells’, a currency used to buy some permanent abilities and buffs that’ll make subsequent runs easier, or blueprints for items allowing access to upgraded gear. Overall, I really enjoyed this permadeath mechanic despite the frustration it caused me at times. In every attempt, the world slightly changes its overall layout, the location of items and even enemies so each attempt felt slightly easier than the last, yet still different due to the constantly changing levels. I thoroughly enjoyed Dead Cells. Gruellingly tough at times yet immensely satisfying, with great combat, controls and roguelike-elements that keep each playthrough fresh. It’s no wonder it won Best Indie Game at the Golden Joystick Awards.